NOTD: Blue chevron - Cherry Colors - Cosmetics Heaven! 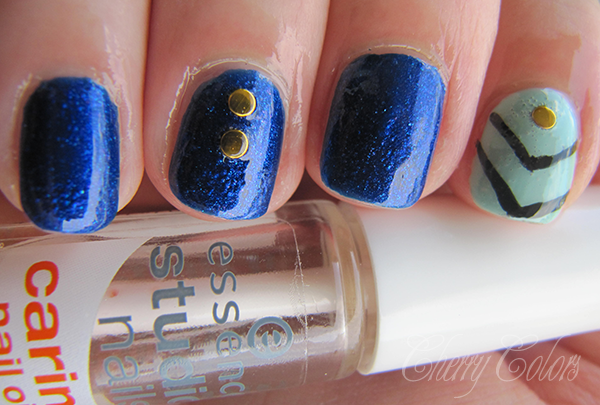 Today I have a pretty quick manicure for you all. It was quick because I was at the seaside with a limited access to nail polish. 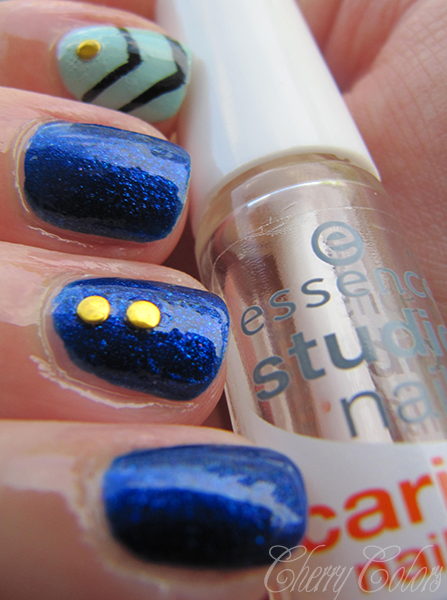 I bought this new dark blue nail polish by Essence (It's raining men!) and the light blue was already there (Essence That's what I mint). Of course I couldn't do without some nail studs. They do always look so classy. I am always happy to hear from my readers.